No matter what your communications plans entail, remaining top-of-mind with past, present and potential clients and referral sources doesn’t happen overnight. It’s not about a few grandiose gestures made throughout the year but, rather, it’s what you do consistently over time that will have the greatest positive impact and make your business most memorable. There’s no magic frequency or number of ways that you should be reaching out to ensure you secure your spot as the local expert, but we’ve found some minimal levels we believe must be met to ensure your business is putting its best foot forward when it comes to communications. Database – Connect with your database at least monthly with useful tips and tricks that will help them better understand what your business has to offer. This doesn’t have to be a long, detailed newsletter, although newsletters are great as well. Short and to the point email/letter communications can be effective when used as an educational tool as opposed to simply selling your products/services. Be sure to add value and offer solutions to common problems. Social Media – Post helpful information to your social media accounts at least three times per week. We recommend using Facebook, LinkedIn and Instagram. Be sure to keep your messages positive, as the mainstream media offers enough doom and gloom. Website – Content should be boosted with new material at least monthly, including relevant blogs and up-to-date bios for the company and all personnel. Blogs offer a great bang for your marketing buck as their main points can be easily repurposed as social media posts and database communications. If keeping on top of the three points above is out of your comfort zone or not a task you consider to be the best use of your time, it’s important to consider hiring an expert to take care of your communications priorities on your behalf. 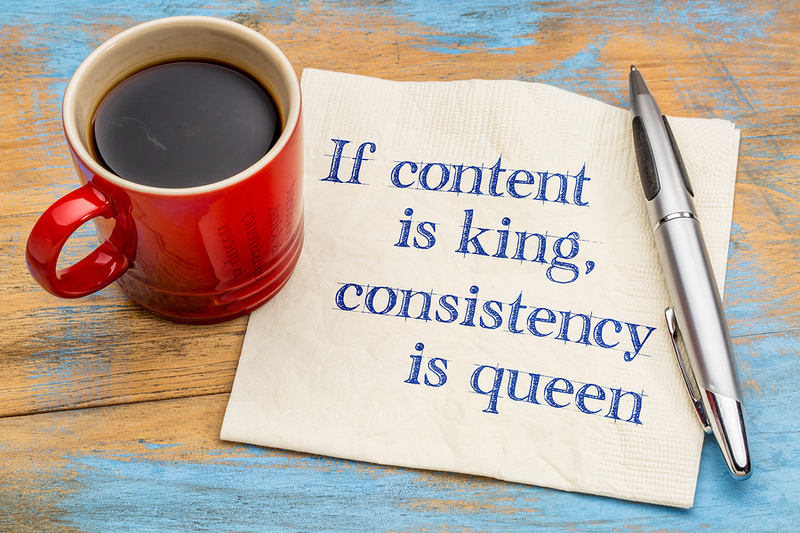 If you’re not consistent with your communications, you’re leaving a lot of potential business – and money – on the table because you’re simply not staying top-of-mind with those who may use or refer your products/services. Have questions about communications frequency and methods? We’re here to help. Answers are just a call or email away!